After trying to make our own toothpaste, and being somewhat satisfied with the results, I continued on my quest to find the perfect solution to store-bought toothpaste, ’cause I just can’t do it…I can’t buy toothpaste anymore! Yet, for some reason, it seems to be a difficult commercial product to let go of. The realization that virtually all commercially-prepared toothpaste contains at least one or two harmful ingredients — i.e. glycerin and fluoride — poses a serious problem. We’re all beginning to learning of the extremely harmful effects of fluoride on our bodies. Likewise for our oral cavity, instead of being beneficial it actually damages teeth. On the other hand, glycerin coats the enamel and prevents re-mineralization of our teeth. Attempt to avoid these two ingredients by making your own homemade tooth cleanser. So, I’ve pretty much decided to abandon my quest for a “paste-like” alternative in part because I am thrilled with our newest concoction…tooth powder. This is not just your usual baking soda — by the way, I love occasionally brushing my teeth with straight baking soda, but I do worry about it’s abrasive nature. Lately I’ve been researching the benefits of bentonite clay, and wow…I love all that I’m learning. it has been used for hundreds and hundreds of years to detoxify the body. In fact, when bentonite clay is consumed, it has the ability to absorb and eliminate toxins. when it’s used in tooth powder recipes, bentonite clay is a very mild abrasive that gently scrubs and beautifully polishes our teeth. I think the high mineral content of the clay has the ability to mineralize the teeth and heal decay. 1. Add all ingredients to a mason jar. Tightly close the lid and shake jar until well combined. 2. To use, apply a small amount of tooth powder to your tooth brush with a spoon and brush as you normally would. -This tooth powder is good enough to eat! And it’s safe for the whole family. -Myrrh gum powder contains highly antiseptic properties and is excellent for overall oral health. -For a minty variation substitute peppermint leaf powder for the ground cloves and peppermint essential oils for the essential oils of cloves and cinnamon. -Follow this recipe for homemade mouthwash. 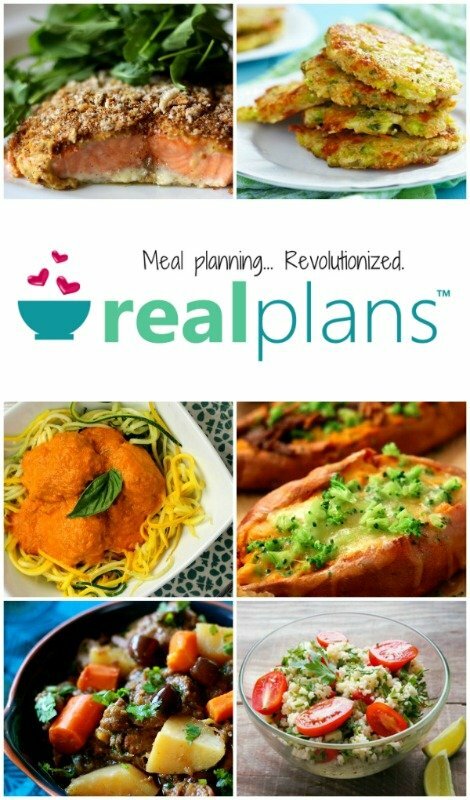 -I purchase the ingredients for this recipe from Mountain Rose Herbs and The Bulk Herb Store, or a local health food store. If you don’t want to make your own, this is a really good store bought option that I’ve used and love. What about you? What do you use to brush your teeth? I have tried various recipes for toothpaste myself, and this sounds like a much better alternative. Is there a reason that you didn’t use xylitol over stevia? Just asking because I have powdered xylitol and only liquid stevia, so it would be one less ingredient to purchase. I also know that it was originally thought to be very good for teeth. Would love your thoughts! Hi Jennifer! I used Stevia because that’s what had:) I should go back in and edit the post, because you are right…xylitol is good for preventing tooth decay (at least that’s what I read). Substituting xylitol for stevia is a good option! Hi, Love this recipe but just a reminder to be careful if you are using xylitol since, as I am sure everyone knows, it is poisonous to dogs. 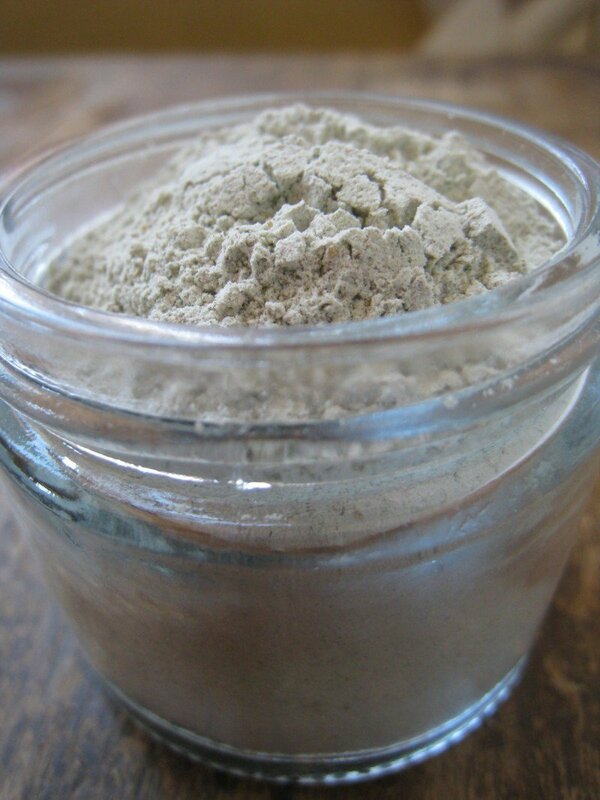 I love bentonite clay for many reasons and have used it in my tooth powder for over a year. It’s also great as a heavy metal detoxifier which is nice for those of us who have the old mercury fillings. I love the idea of cinnamon my tooth powder. 🙂 Right now I use bentonite clay, baking soda, a small amount of real salt and a few drops of either peppermint or spearmint essential oil…whatever my mood is. I’ve also read that ground sage is good in tooth powder as well. Where do you find these ingredients? This is great, thank you so much for sharing! I too am on the hunt for alternatives to store bought toothpaste not to mention I hate all the packaging I dispose of and have yet to of found a way to reuse toothpaste tubes for something else, but I will keep looking at pinterest there’s bound to be something. I wouldn’t swish and swallow with what you brushed with. Any toxins that were pulled out of your gums and inbetween teeth you don’t want to be swallowing. To me it’s a similar principle as oil pulling. You don’t want to swallow all that after you pull. What’s oil pulling?? Thx for helping us learn! I think you could use most any oil. Coconut oil makes the most sense to me. It is anti-microbial in its nature and tastes nice too. Happy smiles. Different oils provide different benefits. I personally have tried sunflower and more recently coconut. The coconut definitely leaves your mouth happier! I love the idea of a toothpaste powder. We’re finding our current recipe of coconut oil/baking soda to be a bit harsh, so have been looking around for other options. My husband has a really hard time with cloves-can something else be subbed in for the ground cloves? Thank you so much for this recipe! Natural ones are too expensive. I will definitely be trying this. another good addition is prickly ash bark powder. It was used by Native Americans who would chew on a branch of the Prickly Ash Tree to help with dental health! We tried baking soda and HATED it. We both dreaded brushing our teeth, but I am so stubborn that I refused to let my husband go buy toothpaste! We tried two other recipes for toothpaste and neither were appealing. So, finally I just bought a bar of Dr. Bronner’s peppermint soap and it’s been fantastic. I don’t think it’s as beneficial as bentonite clay, but our enamel as come back beautifully. Our only concern is that it doesn’t get coffee stains off our teeth! Any natural, plastic-free whitening tips? Sashira – I’ve found oil pulling to be very helpful for whitening and removing stains. Seana, I think Dr. Bronner’s bar soap comes without glycerin. At least it is not listed in the INCIs. Please correct me if you know more about it. This is what I use for my teeth, sometimes alternating with tea tree oil. Both I love very much for teeth and gums, I have to say though, that they didn’t remove stains so far. So I still need to find a gentle stain remover. I have read this at times but never tried. rubbing Banana peel on teeth helps remove coffee or tee stains. yes! the banana peel thing really works. you rub the white inner part of the peal an your teeth and wait like 5+ min trying not to talk or lick it off (like any other whitening treatment) and you will notice immediate results. Activated charcoal. It looks creepy when you are brushing with it but after you rinse there is no trace of black in your mouth and it is a natural whitener. It will stain clothing so be careful when you brush and spit. Activated charcoal also has chelation properties and will bind to mercury to take it out through natural waste processes, especially beneficial in the mouth if you have amalgam fillings. I’ve been brushing with 1 part baking soda, 1 part sage and 1 part sea salt. Anxious to try your recipe, thank you. Out of curiosity…does it “break through” morning breath? Okay…I really like your tooth powder idea! 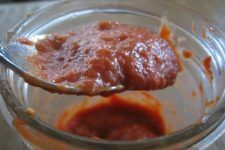 I have been making my own homemade toothpaste for a while now. I too, LOVE bentonite clay. But when I tried to it add to my paste…well, it just didn’t work! I have most of these ingredients at home! Looks like I might be trying a new tooth cleansing approach! Great post! I have found the gum powder at Trader Joe’s! This rocks! I am interested in making this, but I have no clue what bentonite clay is or myrrh gum powder. I just don’t want to jump head-first into using these things without knowing the possible side effects. I made that mistake with something in the past and had a negative reaction. How did you get into using herbal remedies and alternative cleaners and health and beauty products? Did you read books, and if so, would you be so kind as to tell me what they are. I’m trying new things with my family and would love your advice. Thanks so much. Would this be safe to swallow for a toddler? This sounds wonderful. I read somewhere that alph alpha is really good for your teeth. I wonder if adding a powder form might be good…also what about xylitol? We’ve recently started using a mixture of 4 parts baking soda to 3 parts unrefined coconut oil. We love it. You can add peppermint oil and/or stevia too it, I think, but one of the reasons we really like it is because it DOESN’T have a sweet or minty taste. I may try your formula in the future. Be careful using alot of baking soda. It is very abrasive to your teeth! I’m still on the fence regarding using fluoride or not. So far I find the most important thing is to use very little toothpaste, especially for kids, and avoid swallowing it. Tooth powder is totally new and looks doable, thanks! please dont sit on the fence regards fluoride!!! simply research, and you’ll never touch it again! I’ve been using straight baking soda for a year and love it because it stops most outbreaks of herpes simplex which I have suffered with for 50 years. No dentist until my current biological dentist ever told me that an ingredient in common toothpastes actually can cause the herpes outbreaks. 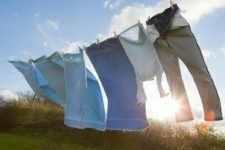 Do you have a list of “basics” that you would recommend every house not be without when making homemade recipes for toothpaste, cleaners, etc.? When I look online, I’m a little overwhelmed about where to get started and what might be the basics. It’s kind of a hard question, because basic to one may not be basic to another. I have a collection of essential oils I’ve collected over the past few years, but have not done anything with bulk herbs. It’s fascinating to be reading your blog. I recommend starting with baking soda and white vinegar. You can go far with those two ingredients along with various temperatures of water to clean just about anything. You can add essential oils, if you wish, but you don’t have to. Baking soda and vinegar are good to start with. For cleaning, I would also recommend Dr. Bronner’s Liquid Soap. It can be mixed with essential oils to create many cleaning solutions. There is a book called “The Naturally Clean Home” that I highly recommend. It covers everything you need to know for cleaning, with simple recipes and instructions. I have the book and use it exclusively. Is there any other essential oil instead of cloves and cinnamon I could use that would be safe to use while pregnant. Also is there anything besides myrrh gum powder that is also safe to use. Thanks. You can always leave out the myrrh gum powder and perhaps substitute peppermint leaf powder for the cloves. I am curious where you can find and purchase some of the more unusual ingredients. Mountain Rose Herbs and The Bulk Herb Store, there are a couple links in the post under the “Notes” section. Have you ever heard of Melaluca? If you purchase the tooth polish they offer from there it does not include any flouride. Although it does contain glycerine most people rave about it. Its the only toothpaste I’m willing to use. I have heard nothing but positive comments about it since I’ve been using it. I like it and its readily available. I have been using Melaleuca tooth polish for several years now. I love it. I love this post! I had never even heard of bentonite clay before but have been doing lots of reading the past couple days and I am so glad you introduced me to it! I use bentonite clay along with coconut oil and baking soda for my homemade toothpaste. My husband’s gums actually grew back and the dentist said that was impossible. Stephanie, is there a ratio of the clay/oil and baking soda you use? I’d like to try that. Thanks! Jenny…I posted the ratio for you!! So what are the ratios Stephanie?? I use pretty much half and half of the coconut oil and baking soda. If it’s too hard I add more oil, if it’s too soft I add more soda. Then I just throw in a pinch of the clay. Easy peasy. I use the same because stevia, I head is not natural. However, the bentonite clay is powerful. That is what I need is to have my gums grow back. I am right now using Bentonite clay, xylitol, baking soda, cayenne pepper and wintergreen essential oil. It does a great job with the teeth, but wanted to know if that would do good with bring the gums back? I wonder about what the betonite clay will do to your home’s plumbing. Bentonite is commonly used to line irrigation ditches to keep them from leaking, and as an ingredient in clumping kitty litter. I would be afraid that continual use would clog the drain pipes. I also wonder about this. I have been using coconut oil, baking soda, peppermint and stevia. I noticed after a while that the drain would start to plug. I believe it is from the coconut oil building up in the drain. Baking soda can help that drain issue (coconut oil). You could put it down straight, or add a vinegar chaser… My husband has asked me not to use coconut oil in the shower for drainage issues. I’ve not had any problems (and use a lot of baking soda in there), but he’d like to prevent them. One last thing, you could always spit in the garbage (or out your window under that bush! lol) to prevent the oils/clay in the sink. I know this is recommended for oil pulling. could you exchange the Bentonite for diatomatious earth? I’m not sure…I’ll have to check that one out. Does anyone else know about this? I was wondering the same thing, I know food grade DE is safe for human consumption, I have a bag of it I give to our pets and chickens to keep internal parasites away, and it has Bentonite clay added to it. I will do some research to see if this would be a good substitute. “could you exchange the Bentonite for diatomatious earth?” – I wouldn’t do it – it will probably scratch your teeth. I have been brushing my teeth with Pascalite clay, which is a bentonite clay. They sell some of it as “Pasca-Dent tooth powder”, and the difference between the tooth powder and “regular” clay is that the tooth powder is superfine. As I understand it, bigger particles might scratch teeth. For the same reason I wouldn’t use cloves in the above recipe, unless they are very finely ground – I just looked at my jar of cloves and they don’t seem that fine. Cloves, or clove oil have bactericidal properties, so it seems like a useful addition to toothpaste. Instead of cinnamon oil in this recipe (which I don’t have), I would use cinnamon – again – if it’s finely ground. I have a herb book that says that you can use cinnamon alone to brush teeth. I just looked for the link for Pascalite clay- here it is: http://www.pascalite.com/Prod.htm , however I noticed a warning to the customers that some of their clay samples have been found to contain small amounts of lead. Hmm – not good. It looks like the tooth powder is not available at the moment, pending testing, I guess. If it does have lead in it, I guess it doesn’t make sense to use it. Too bad. It does a great job. Teeth look whiter, it practically eliminated tooth sensitivity overnight, and it’s very inexpensive – 6 oz. bottle will set you back $8.25, I’ve had it for about two years now and I still have about an ounce of it left. You need a very small amount. BTW, clay alone can be used for brushing. All the other ingredients like cinnamon, cloves, peppermint, and so on might make it slightly more palatable, but they are not necessary. Andrea, this looks terrific! I would be very keen to try making it. I live in South Africa and am not sure where to buy bentonite clay, what type of stores would sell it? Would it be from a chemist/pharmacy? Or from a health shop? Hi Linda, Im also in SA. Did you find any of the ingredients? Hi Andrea! I am in LOVE with your website! You really have done a great job putting information together! I’m a fan!! THANK YOU! I’m curious. What type of bentonite clay are you using? Sodium or Calcium? Or does it really matter for the toothpowder? Hi Amber! I use calcium bentonite in this recipe. I love your blog, I am learning so much. Thank you. I would love to order some things online but find the shipping cost so expensive. Are there any online stores with free shipping? We can thank the price of gasoline for that 🙂 The Bulk Herb store has a standard shipping rate of $6.50 which I think is very reasonable. Just thought you would appreciate a couple of friendly corrections/additions: Fluoride is a naturally occurring element that is essential in bone and tooth formation. Fluoride is included in the hydroxyapatite crystals (the mineralized structure in bones and teeth) and makes them less susceptible to demineralization caused by plaque. Fluoride is a natural mineral necessary for development just like magnesium, iron etc. Fluoride that is ingested during development (the first years of a childs life) will make their teeth 40 to 60% less susceptible to caries (aka cavities). The fluoride in toothpaste and that we ingest in drinking water helps remineralize teeth dissolved by acid and becomes incorporated into our saliva which then helps remineralize throughout the day. Fluorosis is caused by a very high consumption of fluoride (1000% more than in drinking water) and only occurs when consumed before the age of 6 (which is why children are advised to not swallow their toothpaste. Even in cases of fluorosis it has been shown that their teeth were less susceptible to acid demineralization. In the interest of time I have not cited any sources here but I would gladly divulge them. In conclusion: ask any dentist and they will tell you that the best toothpaste is ANY toothpaste with fluoride. Your teeth will thank you later. I think that you may have missed the point that in recent years ALL this information has come under question and criticism, and people are now deliberately trying to avoid fluoride. Everyone knows the information you’ve just given, it’s just that not everyone believes the people who are giving that information to the public. Calcium flouride is naturally occuring and excellent for dental health; however, your dentist, all the toothpaste companies etc. are using sodium flouride which is toxic and poisonous to humans. Do your research! That is exactly what I was going to say! The USA Government has been peddling this info to us as “good” but it is scary just what sodium fluoride does! Sodium Flouride is actually a by-product of the fertilizer industry. The would have to pay to dispose of this if they didn’t peddle it to the big industries to use in their product. There is a warning on the toothpaste itself saying to call the Poison Control if more than a pea size amount is ingested! WOW! RED FLAGS! They are finding that ingesting sodium fluoride is actually weakening bones over time. No thanks….I will chose not to use it. The fluoride in toothpaste is a man-made chemical, not one that is naturally occurring. My entire life, I have rarely used any fluoride on my teeth or ingested it and I have only had one tiny cavity in a wisdom tooth. My kids have not used fluoride and neither of them have had a cavity and they are both teenage boys! So, no my teeth wouldn’t thank me for using fluoride. They thank me now! I am reading about Bentonite clay that is contains a lot of ALUMINUM!!! I am wondering then if this is in fact actually “safe”? Hi there! I just wanted to clarify some things about dental health- first and foremost I do want to express my support for the use of natural products, as opposed to commercially made. A couple of facts about fluoride have been widely misconstrued- fluoride is actually beneficial in the tooth developing process- which ends around age 12. The benefits, however, only apply in doses externally. Fluoride enhanced anything can be and is harmful to your dental development, and it should not be taken internally by anyone. Topically however, fluoride does wonders for remineralizing teeth, even reversing early cavities when used properly. The glycerin found in most commercially made dental products prevents the fluoride from working fully most of the time, additionally most people dont know that after using a fluoride rich paste or rinse they should not eat or drink for 30min! This not only rinses the fluoride off, but also causes you to ingest it. One other thing- baking soda should not be used on teeth! It does brighten, but every dentist and hygienist I know (I work in dentistry,) all agree that it is far too abrasive to be used on a regular, or semi regular basis. It can be very damaging to your enamel, resulting in increased sensitivity (which fluoride can also help relieve! ), visible scratches on the teeth, increased susceptibility to cavities, etc. Everything else seems good though in this recipe- you could try subbing the clay and baking soda for Braggs apple cider vinegar. Just rinse well afterwards! Definitely advise speaking with a dentist before doing something like this though. If you have a condition like periodontal disease(gingivitis) you would only be harming yourself by using a paste like this. This sounds like industry produced propaganda. BS. The fluoride in drinking water and dental products is a toxic by-product of the aluminum industry. Even tubes of fluoridated toothpaste have toxicity warnings! If I want fluoride I’ll drink tea or kombucha, which is made from tea, as tea contains naturally occurring fluoride pulled up from the soil through its roots. Raw ACV is a health-giving tonic food but anything acidic in the mouth has the potential to soften enamel, hardly the time to be brushing them. That’s why conscientious dentists recommend waiting at least 30 minutes after drinking wine, coffee, kombucha and other acidic liquids before brushing teeth. Myrrh gum is a perfect antidote to gingivitis. Where do you do your research Alicia? I was just wondering if anyone has noticed that the tooth powder makes their gums hurt. I used it for one day, and it made my whole mouth ache. Do you know why this would be? I’ve never heard of this!?! What were some of your other symptoms? I want to add my two cents….fluoride is a rat poison. Your mouth including the teeth are porous. Your mouth is like one big open sore. Everything you put in your mouth as well as your teeth will get into your bloodstream. That is one reason some people have to take antibiotics before a cleaning. Bentonite clay is perfectly fine for the drains. Many people bathe in it for detoxing. Again my husbands’ dentist was astounded by his results. Gums grew completely back and he had no traces of tarter or plaque and he hadn’t had a cleaning for 7 years. They thought they were looking at the wrong records. The ratio I use is almost 1/2 and 1/2 of coconut oil and baking soda. Too runny…add soda. Too firm…add oil. Then I just throw in a pinch of clay. Happy brushing!! I have also heard that teeth benefit from some natural silicon from time to time, and that certain types of horsetail contain the highest amounts found in any common herbs. Does anyone know what would be a good ratio to add this herb? It is said to help remineralize visual cavities, when used properly. One thing I have found is to be absolutely sure of where it is sourced, as it is especially good at detoxing its surroundings, presumably locking these possible toxins/heavy metals into the plant material, which may or may not be released upon using the herb (may be safe if not ingested… I really am only just beginning to learn about horsetail and am finding mixed messages on it being one one hand a miracle cure, and on another, a cautionary tale). I have found a local trustworthy source, but am curious if anyone has used it in helping remineralize. I currently have a small cavity that I am watching, as I am more leery of going to the dentist than I am using regular toothpaste! You just grind the dried leaves. I grow my own and grind them. I like a pinch or two of dried hibiscus flowers (ground) to add color and for it’s astringent properties. People…please think simply. To make a powder of any herb or flower, just grow some, clip it and hang to dry, and then grind in a coffee grinder or mortar & pestle. Learning how to be self-sufficient makes $$$$ sense and makes you less reliant on stores. There is all the information you need out there in books, permaculture clubs, web, etc. Do the work (really not work, but wonderful fun) and you will reap a lifetime of rewards. Can you use kaolin clay instead of the bentonite clay? Or is that not a good idea? Excellent post and thread here! Lots of gems! We want to offer our experienced perspective with making pastes and tooth powders. We offer these suggestions simply to help others along the way. We apply what is called the ‘precautionary principle’ when using ingredients that are going inside the body (oral products included). As such, we caution the use of bentonite for 2 reasons. First, bentonite is a aluminium phyllosilicate, so it could have aluminium in it. As I’m sure you know, aluminium is recognized as a fairly dangerous metal to allow to come into contact with anything going inside or on the body (with known links to breast cancer and alzheimers and who knows what else). The second caution we have about clay is it is a silicate base. As such, this product is what toothpaste manufacturers call ‘hydrated silica’. Hydrated silica is very, very hard, perhaps too hard and risks etching tooth enamel. Of course how hard one brushes plays its part in whether the ‘hardness’ of the clay would etch the teeth or not. The other caution I have to offer is on the use of only warming herbs. You make reference of clove and cinnamon in the original recipe. Perhaps adding something from the mint family to balance the ‘heat’ of the clove and cinnamon would help. Our concern here again is the long term potential implications of using only warming herbs in the mouth and the possibility of causing imbalance in the system over time. That’s why we make a toothpaste alternative made with 100% organic and wild crafted ingredients that is a balanced formula, thus neutral on the system. Feel free to come say hi on our Facebook page by looking up OraWellness on facebook. We’re very approachable. Holler with any questions. We’re here to help. A quote from the book “Living Clay Nature’s Own Miracle Cure Calcium Bentonite Clay”……”Many people are concerned about natural metals in some clays. Any metals in Living Clays are never in isloated form and are not adsorbed into the body. Therefore the metals in a clays make up are not harmful, as the body does not digest them”. I highly recommend the book. Is this safe to use on the little ones who cannot spit yet? Specifically the essential oils. Looking for a tooth paste/cleanser recipe, happened upon this. Def going to give it a shot. Hope it’ll work for our little one, she’s 12 mo. When my DD was that little, we wiped her teeth with a clean wet washcloth. Can one use ground cinnamon instead of the essential oil of cinnamon? Thank you for your post. Yes, if it’s finely ground – otherwise it might scratch your teeth. This is a great recipe and I am anxious to try it, I haven’t been too excited about the coconut oil/baking soda mix I have been using. Just wanted to let you know that I featured this post on my Sunday Link Love! I also make my own toothpowder, and have been using it for several years. I too use myrrh powder, baking soda, salt and essential oils. I use clove and tea tree essential oil, but skip the clove and cinnamon powder. I add pink clay for extra scrubby goodness. wher would i get the bentomine? I just ordered mine from http://www.bulkherbstore.com and used coupon code BHS77 for 15% off. 🙂 Way better S&H than MountainRoseHerbs.com. I know that this recipe isn’t prescribed amounts but there is not part for the essential oils. How much is to be added? I’d like some reference in relation to the other amounts. I don’t want to add too much or too little. I was planning to make the clay part one cup and the rest accordingly if that helps. I don’t know how large your batches are. How long does this stuff last you? I’m trying to compare price and length of use to a store bought paste. Thanks! I am wondering how well the essential oils mix with the powders. From reading the posts it seems to work but my mind can only imagine oily blobs appearing in the mixture. Are there any ideas out there about how to dispense the powder? Thanks for post. I am giving up using commercial toothpaste. Natural ones too expensive and a lot taste positively horrible. All supermarket variety have parrabens, fluoride, and lots of chemicals which I cannot pronounce. Under the tongue is a rapid absorbency area so not good to continue with these. I have heard that iodine is very beneficial to add to the mix as well. Does anyone know about this? Is using an electric toothbrush (mine is a Braun) ill-advised with the tooth powder? Just a quick question, I am not understanding the recipe’s directions for 1/2 part…could you please explain? and can I make it without the essential oils of cloves? i have all the other ingredients. thanks. If oils are plugging up your plumbing, after brushing teeth, spit it into the toilet. 1) Stevia vs. Xylitol: I’d use xylitol. It’s a sugar that the cavity-causing bacteria can’t digest, so it provides sweetness while simultaneously starving out the “bad bugs”. That makes for what we call an “anticariogenic” paste. 2) Cloves are a brilliant addition, because they have a painkilling property. If you’d like to make a paste still, I’d get some oil of cloves and add it to the powder. It will bind the particulates (oil of cloves is also used in some temporary fillings), and is excellent for treating sensitivity. 3) If you must use powder, please please PLEASE grind it up as fine as you possibly can in your food processor. Large particles can be extremely abrasive, and may wear down the precious outer layer of the tooth, or the enamel. Enamel protects from cavities, and once it’s gone, cavities form far more easily and progress much more rapidly. 4) Finally, while I am also wary of fluoride ingestion (evidence of damage to the stomach, suggestion of industrial fluoride being used instead of higher quality compounds), I must say that fluoride is actually quite beneficial to teeth. Fluoride creates a particle called “fluorapatite” that is really difficult for cavity-causing bacteria to penetrate. Also, try to remember that fluoride IS naturally occurring in water and is in high concentrations in tea and fish. But if you’re still keen to avoid it, I would filter your water and keep a mouthrinse with fluoride in it. What do you think about using rhassoul clay? I actually use it often for a number of things: as a face mask, a “shampoo” and as a soap substitute (for each application I mix the clay with several other ingredients); honestly, its wonderful! This recipe sounds awesome so I will probably try it using rhassoul. I think rhassoul clay is GREAT for epidermis/skin tissue, but look at your teeth this way – they’re bones, not skin, or hair, or a mucous membrane like your cheeks. if you could yank a bone out of your body and cover it in this clay, maybe your bone would absorb a tiny but of calcium, but there would be no other benefits. furthermore, as the clay sucked up moisture, it might actually remove important nutrients from your bones. so, while I love what rhassoul clay does for somebody’s skin, I wouldn’t recommend it for teeth. I can’t wait to try this! Thanks for sharing. Just would like to add that, contrary to what you said, this powder might not be safe for everyone. Essential oils, especially peppermint can be dangerous to small children. I brush my teeth with a mixture of 2 TBS of white clay (I live in France and can’t find Bentonite clay here), 2 TBS of baking soda and 1/2 tsp of sea salt. Weard at first but leaves your teeth feeling really clean. Another added advantage, besides it being free of fluoride and only costing pennies: my dentist found that my teeth and gums (they used to bleed quite often) have never been healthier! No tarter or plaque at my checkup! The salty taste is strange at first but you get used to it after a couple of days. Will try adding ground cloves. Thank you all for sharing your experiences! Except I replaced stivia with xylitol. Also added some organic cinnamon powder. My main concern here is that solution leaves some bits of herbs inside of mouth and besides all of good and positive impact. That is an organic compound after all, and it will create some unwanted bacteria grows… ( basically some food left in your moth to rut ). What do you think? Hi, back again, even without a response to my last question… I was just wondering if black walnut hull powder would also be a safe additive to the recipe? I was thinking half a part? I have children who are going to be using it as well, and wasn’t sure if that would be okay. I am going to supervise use and instruct to spit, but we all know some will go down with every use. So, any help on this would be greatly appreciated. Thanks! Interesting idea about walnut hull…. I did not know about its features. And may try it out in the future. Do you make it yourself? Personally I’m still on the fence about using all of those yet… But who knows… that maybe change for me. You may have tried it by now, but . . . I know they use black walnut hulls for dyeing gray hair naturally. I imagine it would stain your teeth. I’d probably be afraid to try . . . I was interested to see how much this would cost us compared to toothpaste. I made a batch using a tablespoon as 1 part. Based on how much the ingredients cost me (I ordered them on Amazon, except for the baking soda), the cost for 4 oz (one batch using the previous measurement) is about $1.55. Colgate Total costs about $2.06 for 4 oz. Awesome!! I loved Earthpaste but don’t travel to buy it anymore. So this is great. I have wanted a bentonite clay recipe and did make my own toothpaste though this is much better. BTW, RMH is out of some of these ingredients.THANK YOU! The flouride used in the water and tooth applications is NOT naturally occuring flouride. They have to use hazmat suits to clean up spills of the stuff they are dumping into the water and tooth products. There was a You Tube video of such an occurance a little while back. Xylitol is *very* poisonous to dogs. If you use it for anything, be sure to keep it secure from them getting into. I prefer to leave any sweetners out of my toothpowder. I have a question. How much of the essential oils did you put into the powder? Just mixing up a batch now, but how many drops of the essential oils do you use, and how do you mix it in, do drops of oil make lumpy clay? I have liquid bentonite clay could I use that? I keep getting conflicting opinions on clove bud oil and cinnamon oil. A store near me says that their oils cannot be ingested and are for aroma therapy purposes only. My question is this: is there more than one type of essential oil? Or is everybody right- that while cinnamon and clove bud oil are not recommended for ingestion, they can safely serve as ingredients for a tooth paste (or powder). You would probably only use a drop or two of these oils and you wouldn’t be ingesting them anyway. But why not just use some ground cinnamon and cloves (just make sure they are finely ground, so that they don’t scratch your teeth – maybe put them through a fine sieve, and only use the smaller particles) – you probably have some in the kitchen already and you don’t have to buy expensive essential oils. I use doTERRA essential oils, which are Certified Pure Therapeutic Grade and safe for ingestion. They also make an On Guard toothpaste, which contains Wild Orange, Clove, Cinnamon, Eucalyptus, Rosemary & Peppermint essential oils with xylitol. You could just use the On Guard (protective blend) oil and peppermint oil in your recipe. Works amazingly! 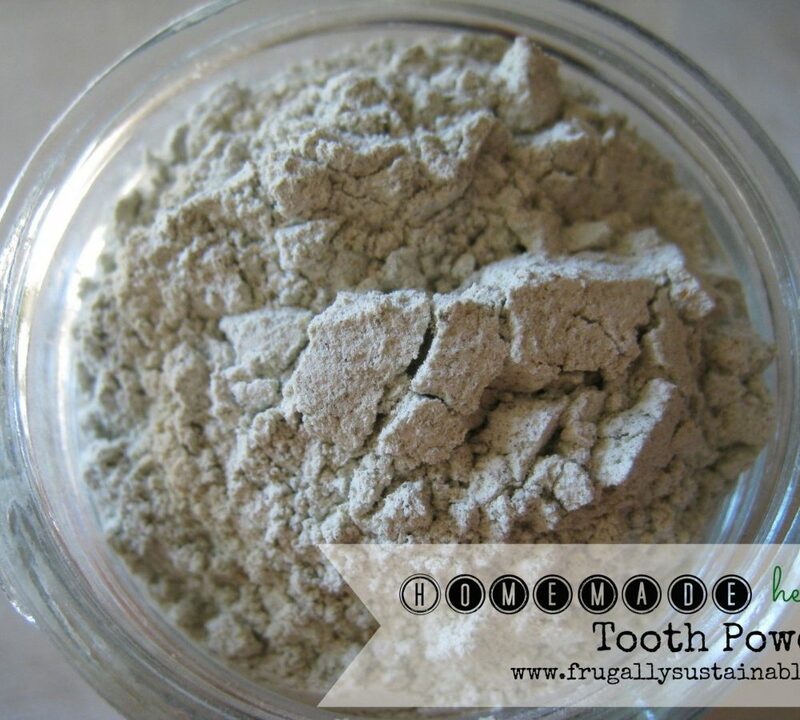 I just made the tooth powder tonight and used it once – I’m sold!! Love it and the way it makes my teeth feel so smooth! 🙂 It tingled when I used it, too – an unexpected delight! I have been using homemade tooth powder for about a year as the store bought kind now makes my mouth blister and many of the heath food store kind have to much mint also makes my mouth burn. I have 2 immune disorders, Geographic tongue and my allergies are much worse as I get older. I have found that when using plant material it will sometimes clump in the container and make a bigger mess in my sink when I spit it out. I use green clay as I already had it for face masks and it’s toxins adsorbing property’s are a plus. I read they use green clay for people that have been exposed to radiation. My recipe is simple, I 1/2 cup baking soda 1/4 cup green clay and 1/8 cup sea salt for healing. I don’t use any flavoring as my mouth feels very fresh without it even the next morning. My step daughter thought I was using white strips my teeth are nice and white and they feel like they do after a visit to the Dentist s and they polish them. I’ve been using a recipe like this for a bit, we love it. We don’t use essential oils just ground cloves (nothing against essential oils) and use xylitol as it is really beneficial for your teeth. I didn’t think my mouth would feel refresh since there is no mint in my tooth powder as my husband is allergic to it and cinnamon, happy to say the ground cloves do the job. Next recipe I’m trying the green clay. FYI: Xylitol is poisonous to dogs and cats. A lot of essential oils are poisonous to cats, so beware with these ingredients around your pets. I’ve heard a few not so good things about bentonite – one practitioner I know says she sees a correlation b/t using it and Al toxicity. But all I find on the internet is mixed info about it. Have you done any research into this? Thanks! We both suffered from chronic aching teeth that even sensitive-tooth toothpaste stopped helping. After reading about glycerine in toothpaste, we dumped it altogether for baking soda. Our rationale was that we wanted to raise the pH in our mouths enough to let our teeth remineralize. Within a couple of weeks, not only had our teeth stopped aching, but my wife’s lifetime tetracycline-darkened teeth had whitened (likely from remineralization). Which is not to say anything bad about your recipe, which sounds great (and nicer than baking soda)! I’m going to go check out your Etsy shop. It’s very open-hearted of you to share the recipe for something you also sell. This is an excellent point. I suspect the reason baking soda or bentonite works is due to its alkalinity (pH over 7). To be healthy, our bodies should need to be slightly alkaline, just like every living creature in the wild. Of course, just like it is harmful for our bodies to have a pH under 7 (acidity), it might as well be harmful if we go to the other extreme, high alkalinity (pH over 8). Having said that, there are two classes of bentonite: sodium and calcium. The former swells and the latter doesn’t. Moreover, although both are alkaline, sodium bentonite is more alkaline than calcium bentonite. Nevertheless, people are reporting improving teeth with calcium bentonite. So perhaps you don’t need a very high alkaline ingredient like sodium bentonite, whose pH is about 9.5. But perhaps you do if you drinks tons of soft drinks which are highly acidic (pH of 4). Thanks for sharing 🙂 I use the natural, fluoride-free toothpaste from my health food store but always looking to try something new for my little ladies. Hi Andrea, I’ve made this recipe, but had a problem: It made my teeth look grey! 🙁 Has anyone had this problem? It was definitely because of the clay. I won’t be able to use this because of the discoloration of my teeth. I used another recipe I think I found on your site a while ago with Baking Soda, Salt, Peppermint Essential Oil, and I can’t remember what else and I really liked it. My friendly WalMart grocery store doesn’t carry most of your tooth powder ingredients. Sorry. I’m sorry for anyone who has to ( chooses to?) shop at Walmart. I love this post! Thank you. I make my own toothpaste with coconut oil and baking soda and peppermint EO. I love that already but now I am sprinkling on the Bentonite Clay on it. My only problem with Xylitol is that if you have fur babies like I do, the slightest bit can be fatal. Xylitol will bring down their blood sugar levels and damage their livers within a short period of time. I only know this because this happened to one of my babies. If you use Xylitol, please be careful not to drop any. I am going to have to try the tooth powder without the Xylitol in it. Thank you. That’s great information. Thank you. Going way back to Edgar Cayce, most people in this day and age have not heard of him, he addressed the fluoride addition to water to prevent cavities way back when. The problem lies within the chemical composition of the water being treated. Some water will benefit from addition, some will not. Edgar Cayce history and archive may be found at various sites online. I luckily purchased an old book at a library sale and it was full of miraculous cures, literally cures. Many of them used castor oil packs or massages to cure anything from ovarian cysts to sclerodoma. I am so, so sorry if this question has been asked. But there are so many comments I couldn’t sift through them all. I was wondering about the essential oil. How much do you add? The recipe doesn’t specify and I have no experience to reference when adding an EO to a powder mix that us supposed to remain a powder. Thus is my first foray into natural toothpaste (I’ve just been using baking soda since i ditched the commercial toothpastes). Hope you can help me. Thanks in advance! I can’t wait to try this. I am going to pass On the xlyitol. My dog was hospitalized and nearly died because he consumed a small amount of it. (in a piece of gum he stole out of my purse). My vet informed me, although he wasnt aware of any harm to humans, it’s toxic to pets. I can’t imagine anything tasting worse than cloves …. I heave at the very thought. I have been using bentonite clay toothpaste for about a month now. Lately I realize that my teeth has been sensitive especially when I brush my teeth. I wonder if its the baking soda? Has anyone had such experience? I am using only (sodium) bentonite clay. And I’m experiencing slight sensitivity. I suppose that, since I’m no longer using standard toothpastes, my teeth no longer have a glycerin coating, which appears to be one of the causes as to why there was no teeth remineralization. So perhaps increased sensitivity is one of the milestones towards healthy teeth. Did anyone ever answer you? Well I will. I read a lot about sensitive teeth because I have them, and I do recall many people saying that Baking Soda added to any toothpaste (natural or store bought) made their teeth sensitive. Also, salt does the same thing to some people, so Earth Paste didn’t work for me. Just use clays. A 50/50 mix of bentonite and kaolin is best. Kaolin is higher in silica and calcium I read. I also add crushed Cell Salts, because they contain calcium fluoride and all the beneficial minerals. About 5 crushed per Tablespoon of powdered clay. As a side note, I also read that xylitol isn’t that great for your teeth after all, at least the push to use it was super fast without many studies to back it up. 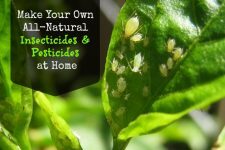 A naturalist online called Colorful Canary advises to use natural stevia instead. In fact, she found evidence that it is bad for your teeth. I think she said it makes them brittle, and more likely to crack (like sodium fluoride does). A little trick for everyone that I learned is that if you add arrowroot powder to the clay (about 1 T. to 2 T. of clay) it creates the foaming action many people miss when switching to clay toothpaste. It is free of sugar and salt, and is essentially just a thickener or bulking agent. Completely non abrasive. Dissolves into nothing once wet. Coffee bean grinders and bullet blenders are great for mixing those essential oils evenely into the dry powder. Some of my favs are cinnamon (anti bacterial and anti yeast) clove (for sensitivity) peppermint (freshness) eucalyptus (same ingredient in Listerine for the same reasoning) Tea tree (very little, but good antibacterial antiseptic qualities too – it is aka melaleuca for those of you wondering what that post was all about). Happy brushing! I’ve been brushing with bentonite clay for almost a year now using a similar recipe—bentonite clay, baking soda and peppermint essential oil. When I started out using this recipe, I had only hoped that it would help reduce the amount of toxins present in my mouth. I was also secretly wishing that it would help heal an existing cavity—although I wasn’t terribly optimistic about it’s “healing qualities” on my teeth—thankfully, I was WRONG! Oh, that cavity I mentioned is completely gone as well. I’m a believer!!! P.S. I can’t wait to try your recipe on my next batch, sounds fantastic! For those who don’t want to make your own, we use a toothpaste made by Redmond called “Earthpaste”. Ingrediants: Purified water, Food grade Redmond Clay, Xylitol,Essential Oils (Wintergreen, Cinnamon, Lemon)…depends on which flavor you order, Redmond Real Salt, Tea Tree Oil. If anyone is having trouble finding products like tooth powder for sale I suggest shopping on Etsy. There’s a community of Awesome people making the best toothpaste alternatives out there. I like clear conscious care the best because it combines a mild tooth soap with a tooth powder containing a considerable amount of xylitol. I have been making my own tooth paste for about a year. Here is my reciepe 2Tbs coconut oil and equal parts of baking soda, white kalon clay, cal mag caps, few drops each clove oil, myrrrh oil, peppermint oil and a small sqeeze of lemon juice. Clove heals cavities and myrrh helps with receding gums and general gum health. Peppermint for taste and breath. Lemon a tad acidic for whitening and preservative. Baking Soda is the abrasive but can add that salty taste. Calmag and clay remineralize the teeth. I hope u enjoy! Ps if it drys out alittle just stir in a little more coconut oil or slash of lemon juice. Isn’t the aluminum in clay dangerous? what is wrong with organic vegetable glycerine? I was just about to purchase some. Please let me know what is wrong with glycerine… or is it just gmo issues that organic should trump? Thank you. Can I add sage powder to this? I know it has whitening properties. What do you think? FABULOUS recipe!! One thing you might want to consider is using Xylitol instead of Stevia. Xylitol is a natural sweetener that reduces tartar and cavities! What about using myrrh essential oil in this recipe instead of the myrrh powder? Would that work? And if so, how much would I need to use? I have the EO, but have never heard of the powder. Just ordered to make this! I so can’t wait. Thank You for all you do to help us to live better. I have made the elderberry syrup, glycerine, and tonic. Also do your laundry soap. 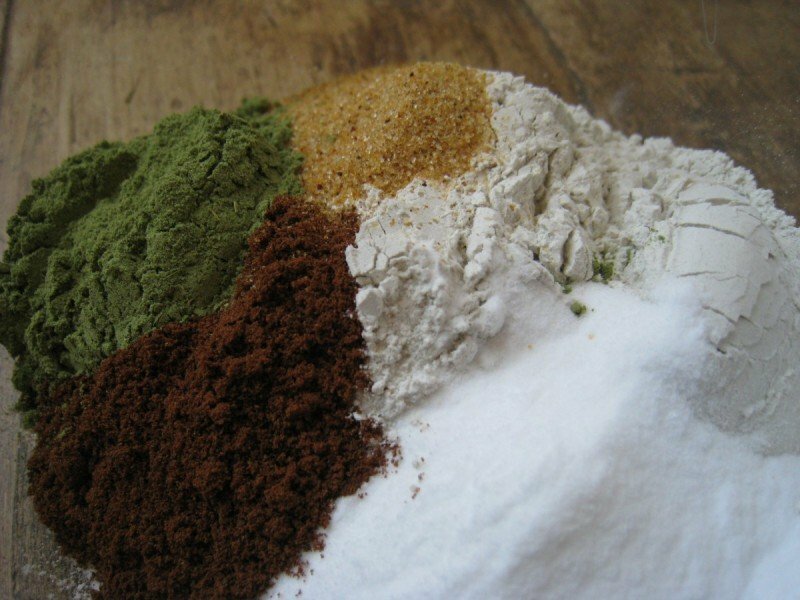 Do you sell the powder(every ingredient ) for a cost? I.E could you make a jar for sale? Andrea – not sure if you know about this little gem, but you can whiten your teeth naturally (and of course frugally) simply with a banana peel. After eating a banana, take the inside of the peel (the part that is in contact with the fruit, not the outside yellow peel) and rub on teeth. Let sit for 1 minute or so (try not to lick off) and simply wipe off with finger, washcloth, or brush with some baking soda for an extra whitening kick! How cool is that?! Safe for whole family – even pets if you wish! Can tea-tree oil be used instead of peppermint? I think i will try this, and add activated charcoal as an additional detox, and whitener. How about removing all teeth and using Implants ? The article states “…bentonite clay is a very mild abrasive that gently scrubs and beautifully polishes our teeth.” Can you please supply the scientific study which substantiates this claim? I would like to know what the Relative Dentin Abrasivity (RDA) value of calcium bentonite clay is before including it in my homemade toothpaste. Studies show that baking soda has an RDA of 7, so I’m glad to include it in the batch. Thanks so much for a great site – looking forward to the reply! A sweetener. I brush once a day with it and swish at night before bed. I went from having swelling and tenderness to nothing. Ill neve by another toothpaste, face cream, baby powder, and many other products I have replaced with the bentonite clay. Clay all the way. How do you keep your toothbrush clean? The powder always builds up at the base of the bristles.